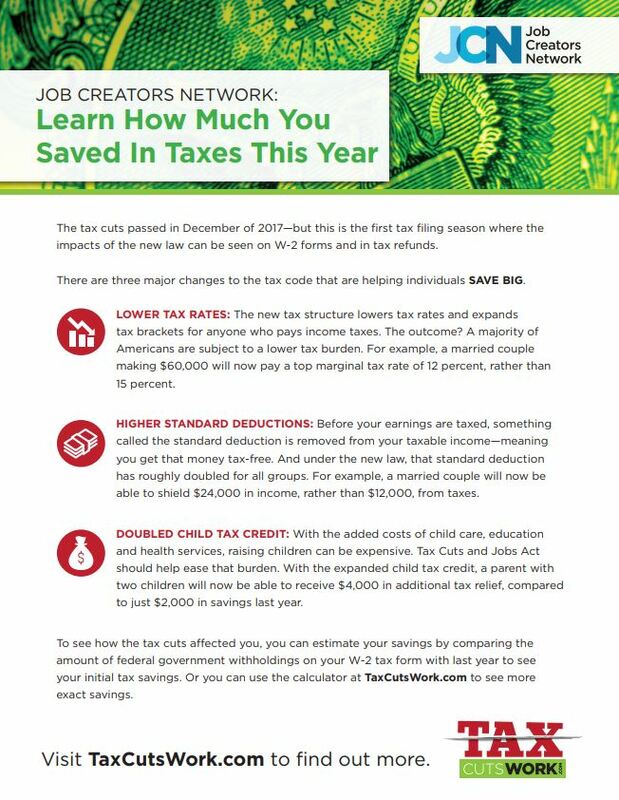 As part of the revamp of TaxCutsWork.com, the Job Creators Network has created a one-page document that can be downloaded by small business owners and distributed to employees in order to educate them about the specific impacts of the Tax Cuts and Jobs Act. Download the document here. Thank you members of Congress who voted for the bill and the Administration for delivering the promise of tax relief to hard-working Americans and entrepreneurs.